Hello fellow stitchers. I have finally made the move from Xanga to Blogger. If you would like to see my old blog, it is located here. The following pictures are a continuation, as promised, of the gifts given to me by my friend Arcadia from France. This is a cute doll (Isn't she adorable?) and a little rooster that I received. The tray in the background was Arcadia's first work of the art of Cartonnage. The tray came packed with tea, coffee, French baked goods, and other yummies. 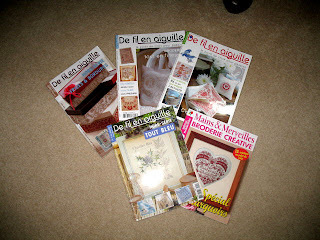 I have a penchant for French needlework magazines. I am incredibly fortunate to have a friend like Arcadia. She has spoiled me silly with so many wonderful magazines. 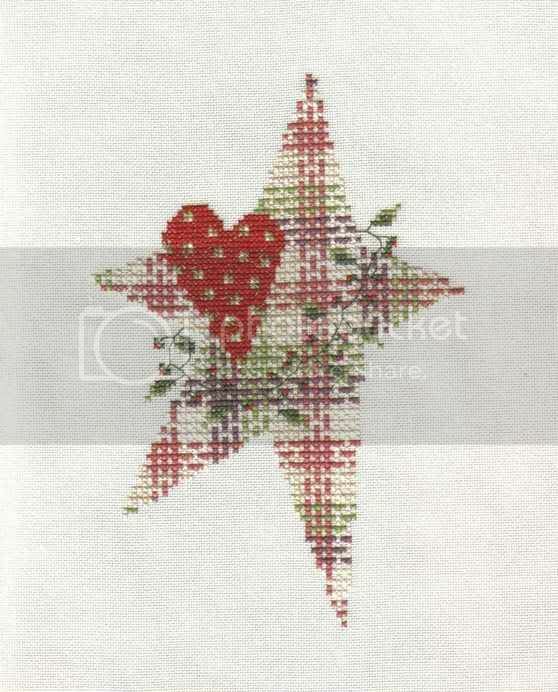 I cannot read French, but fortunately, cross-stitch charts need no interpretation. 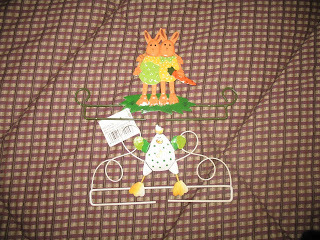 These are some cute needlework racks. 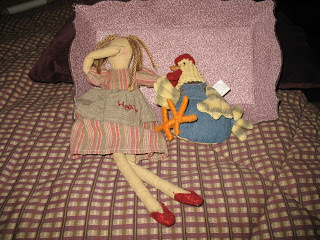 Arcadia sent just the right things because I have a love for chickens! Of all Arcadia's gifts, this one is my favorite. It's not actually one whole pattern. 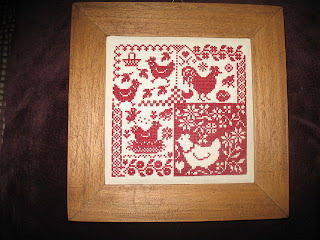 She took hens from different patterns and combined them herself! Très magnifique! Nice gifts!!!! Lucky you, you have such a wonderful friend!!! Welcome to blogger! The gifts are so lovely dear heart! You got some lovely goodies there! I'm also glad to see you on Blogger, I had problems commenting on your xanga blog. Whoo hoo!!! I could never comment to you on Xanga, now I can! Wow - fantastic gifts, Julianne! You are going to be stitching up a storm from those magazines!! What a wonderful, thoughtful friend your have (crafters are so nice!). I absolutely LOVE the red chicken design, it would look perfect in my VT kitchen :-D.
What a wonderful stash of magazines! Love that hen block gift! It is just darling.